As a small business owner with small margins for error, you’ve likely recognized the need to develop, train and educate your employees. An employee learning and talent development program can reduce the number and severity of bottlenecks and inefficiencies in your typical workday, and create a more productive, communicative and collaborative staff. The benefits of a well-informed and well-developed staff are often passed on to and enjoyed by customers, vendors and partners alike. The problem is that, for small businesses, the employee learning and development process has traditionally been quite costly in both time and resources. What’s more is that, in today’s constantly-evolving small business climate, outdated online courses, webinars, instructor-led training, seminars and conferences are ultimately not very effective learning tools. And if you’re fortunate to have a corporate learning management system (LMS) it’s likely bloated, clunky and cumbersome to use. The workforce badly needs a more affordable, nimble, sustainable and scalable learning solution for smaller organizations that have limited resources. In contrast to the traditional, top-down corporate approach to learning, employee-driven learning – that is based on user-generated content – can lead to better adoption, faster development, greater colleague support and better team performance. 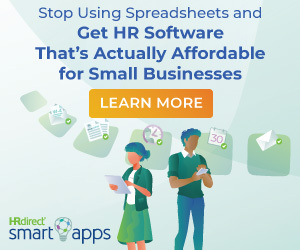 For those reasons, we created Braidio SMB, a free, turnkey learning management system that gives small businesses access to the same real-time learning tools that have historically only been available to large corporations. Helping your employees learn and develop using Braidio can give them the knowledge and skills they need to thrive – without interrupting their daily workflow. The first step in using Braidio SMB is Knowledge Tap, a powerful yet simple tool that empowers your employees to create topics for knowledge sharing and learning. Organizations realize that a significant part of employee learning comes through social and peer experiences. Knowledge Tap leverages exchanges between company peers to automatically create a knowledge base of learning content. 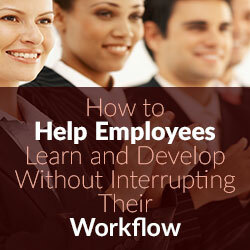 Employees can ask questions of their peers and tag them for relevancy. The tagged questions and answers ultimately create a crowdsourced knowledge base for both your existing and new employees to reference. Knowledge Tap also recommends which employees to ask a question to, based on the context of the question and the expertise of your talent pool, helping you more easily associate skills and expertise among your talent. Next, the content delivery component of Braidio SMB gives your small business access to curated online courses from leading subject matter experts, manages learning content, assigns courses and monitors company-wide progress. If you have your own training materials or courses, you can upload your videos, PDFs, SCORM courses and distribute them to your team. To measure and optimize your learning program, you can rely on our default learning analytics that provide a data-driven view of how your employees are learning. The platform delivers learning content to your employees in bite-sized, interactive “blocks,” so that your talent development program remains effective, without pulling your employees away from their daily workflow. It’s simple and easy to use without the bloat of traditional learning management services (LMS). Finally, Conversations are the social component of Braidio SMB that provides continuity long after the initial learning event. They enable your employees to communicate with one another efficiently regarding the courses and learning content they are engaging with. Individuals, groups or the entire team can discuss the learning content and coursework either privately or publicly to retain context in the original thread. Creating a conversation about a project or training course creates a “home base” for all team members. Documents, images and web links can be posted in the conversation for all employees to view. All of this eliminates the need to search through endless email threads or IMs to find the conversation you’re looking for, and encourages ongoing learning continuity. In order to compete, attract and retain top talent today, small business owners need to invest more than ever in training and developing their employees, so that they can succeed in an increasingly diverse small business landscape – one influenced by globalization, greater workforce diversity, more virtual teams and more matrixed structures. With this newfound global reach comes the responsibility for small business owners to make sure that their teams can adapt. Most importantly, when we created Braidio SMB, we were intent on providing a talent development tool that employees would actually use. As a small business owner, you should no longer feel priced out of a learning management system. In businesses of all shapes and sizes, we have found over the last several years that learning initiatives, designed by employees – for employees – can make a major positive impact on both company culture and the bottom line. Rafael Solis is the co-founder, CMO & SVP of Product at Braidio, a cloud-based learning and talent development platform. 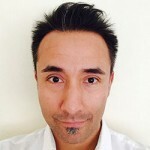 Rafael brings 15 years of experience in strategic marketing, product and digital media, including marketing roles at Edmunds.com and Walt Disney. He holds a BA in Economics from Portland State University and an MBA from Pepperdine University.